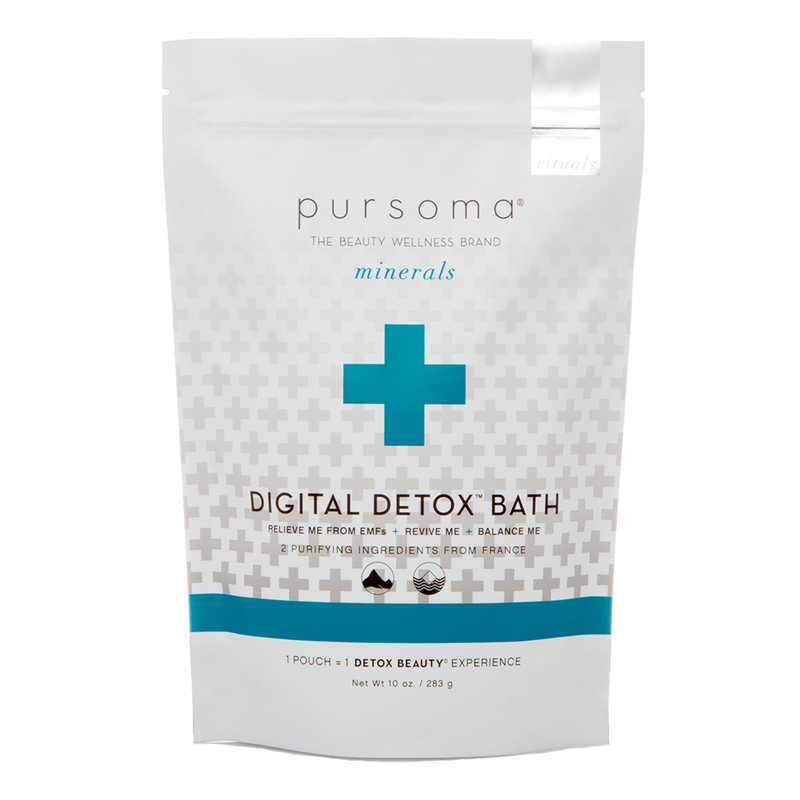 The Pursoma Digital Detox Bath is a 1-day cleanse package that lends a feeling of powerful environmental detoxification. French green clay paired with French grey salt promote a feeling of purification and ionic alignment to relieve sensations of electric and magnetic fields (EMFs), toxins and stress in the body, and offer a sense of recalibration so you feel refreshed and restored. 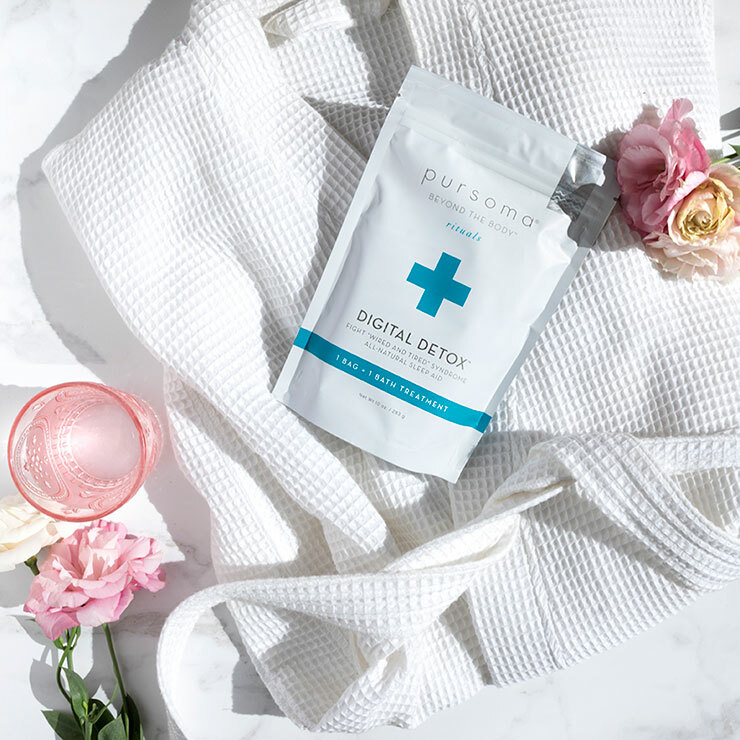 As a pre- and post-bathing ritual, drink 8-16 ounces of purified water to stay hydrated. Fill your tub with warm water and add sea salt. Hop into the tub and add the clay powder, stir to fully dissolve ingredients. Soak for up to 20 minutes, immersing your body and keeping water at a consistent temperature. Relax while the minerals go to work. Lightly rinse off clay and pat dry but don’t shower. Immediately wrap yourself in a towel and “Sweat and Rest” under a warm blanket for 15-30 minutes as your body continues to perspire . 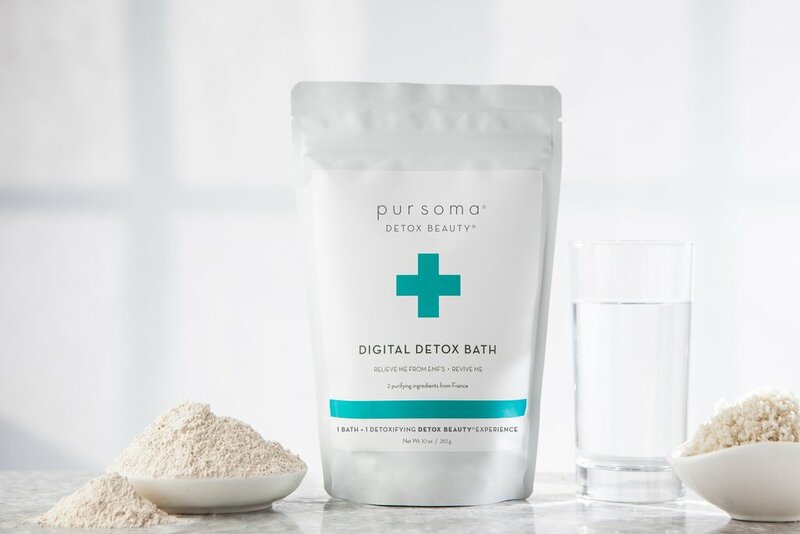 For best results, use once per week; may be used more frequently as part of a guided detox cleanse. DISCLAIMER: Not intended for medicinal use. Keep out of reach of children. For external use only. Contains iodine. If you are pregnant or have a medical condition consult your physician before use.